Firmly established over 30 years as Hammersmith & Fulham’s leading independent estate agents, we are passionate about property and our professional approach has enabled us to build a comprehensive property management portfolio and a very satisfied client base. Our company is totally focused in all aspects of Residential Property Services; covering sales, lettings and property management services within the London Boroughs of Hammersmith and Fulham, Wandsworth and the surrounding areas. Highly recommended for our full management services, with an ever growing list of long term investors set within the UK and internationally, whom we have built lifelong relationships with and continue to uphold our reputation for offering a professional and efficient service. 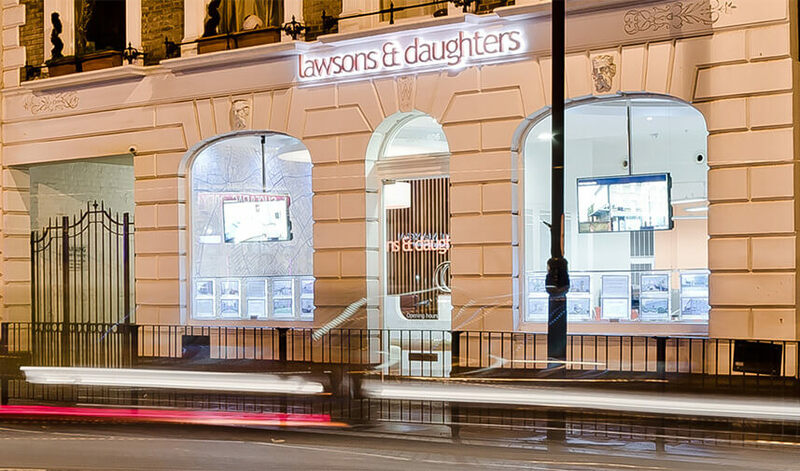 Following the successful years of Lawsons and Daughters being based in Hammersmith, we have recently re-located to the heart of the Fulham area, with the aim to expand our property portfolio and client base. We are prepared to go that extra mile for our clients, whether they may be looking to rent a property or perhaps would like an up to date appraisal for their own; our experienced team are more than happy to assist you along the way. We employ the best people and are very much part of the community that we serve. We are constantly pushing ourselves to be better and are proud to set the standard in all that we do.